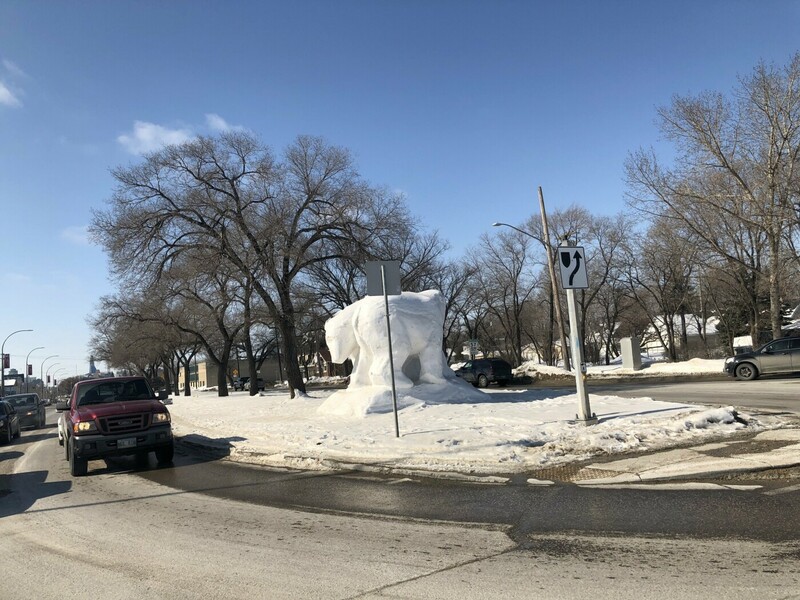 Just a week ago parts of Manitoba were shut down due to heavy snow and some highways were closed to prohibit individuals getting on the road and getting stuck, to ensure the safety and lives of the people. 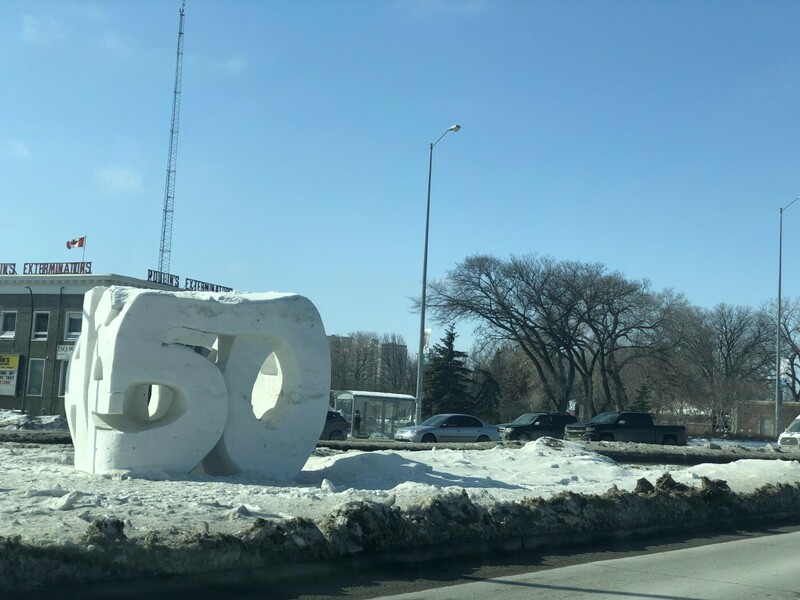 But now the winter is going away and forecasts even show some positive air temperature in a week or so. 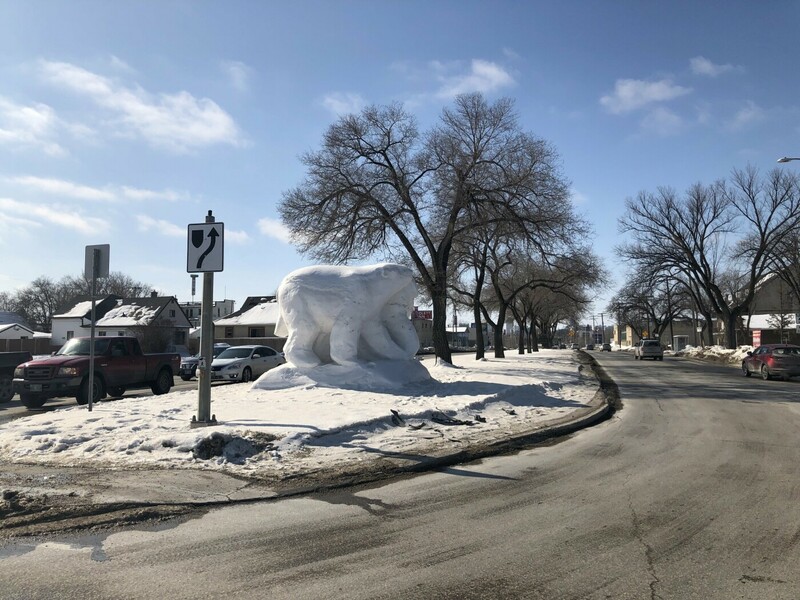 It is time to say goodbye to the snow and cold weather, here are a couple of pictures of very creative and beautiful snow sculptures in our city. 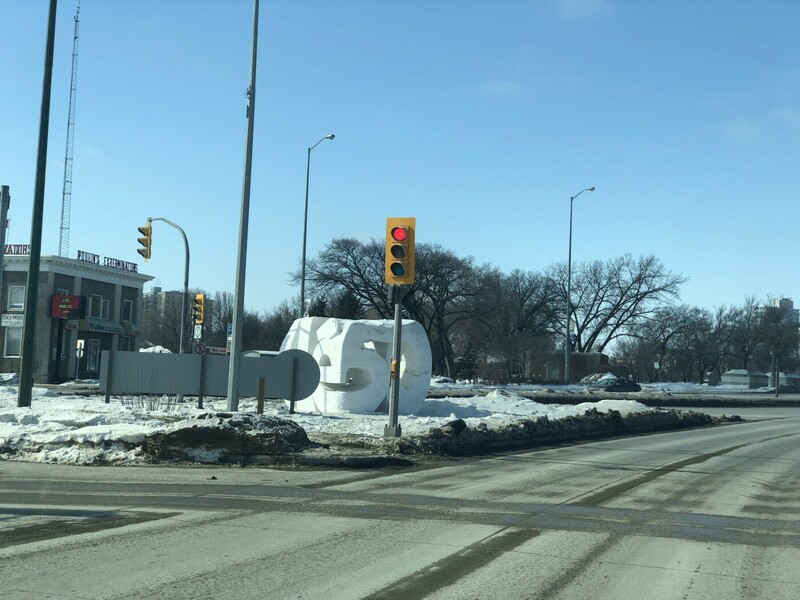 As shown in the photos there are some pretty big snow sculptures located in many intersections of our city!